Is soy bad for you? Good? 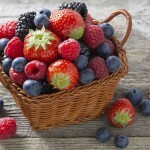 What should you look for when grocery shopping? 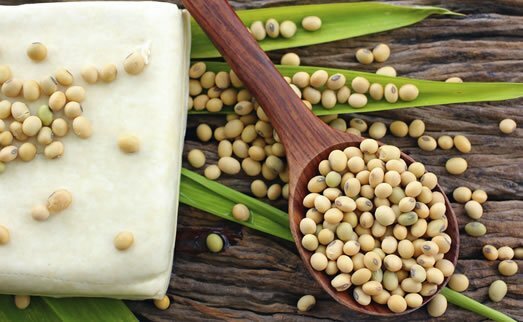 Get key facts about soy from the doctors and dietitians at the Pritikin Center. Is soy bad for you? Good? 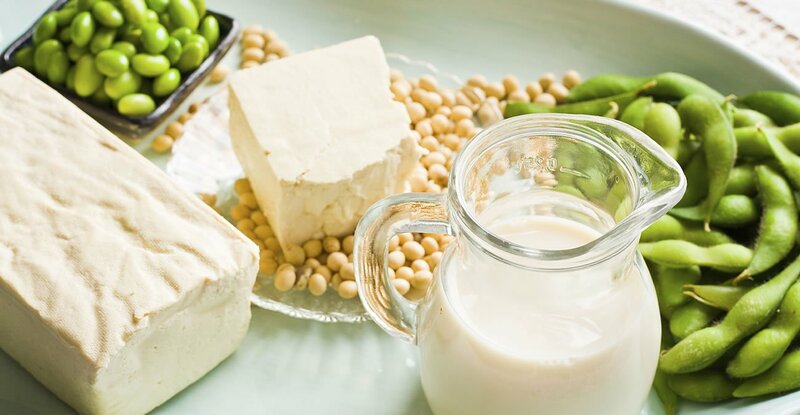 There are indeed heart-health benefits to eating soy foods, especially if you’re eating them instead of saturated-fat-rich animal foods like red meat and full-fat dairy products. Whole soy foods like tofu, tempeh, and edamame may help lower LDL (bad) cholesterol. Is soy bad for you? Can you eat too much? Get all the science-based facts in this article. Whole soy foods may also enhance weight loss, improve blood sugar control, and reduce insulin levels. Some literature also suggests that soy foods (not soy supplements) may protect against breast cancer. For example, high intake of soy foods like tofu among women in Asian countries is associated with rates of breast cancer that are five times lower than that of women in the U.S., who eat far less soy. A recent study that followed 6,235 American women with breast cancer for nine years found a 21% decrease in all-cause mortality in those who consumed the largest amounts of soy foods compared to those who consumed the least. But do be careful if you’ve never been a soy food eater but then start consuming a lot of soy after a diagnosis of breast cancer. If you’re taking a commonly prescribed breast-cancer drug called tamoxifen, soy foods may reduce the effectiveness of this drug. That was the finding of a recent study on rats conducted at Georgetown University. Above all, steer clear of supplements like concentrated soy genistein. And always talk with your oncologist about what’s best for you. Soybeans | Available in most grocery store freezer sections, often described as edamame. Soymilk | Vanilla, original, or unsweetened. Tofu | Unflavored/unmarinated – found in refrigerator cases. 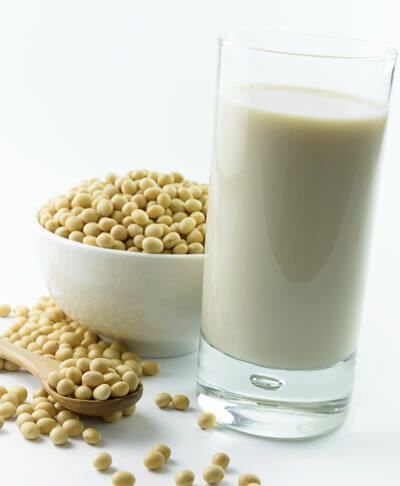 Many readers ask if soymilk is a better choice than skim milk. In most cases, they are equally good. Do choose soymilks with little or no added sugars, sodium, and saturated fat. 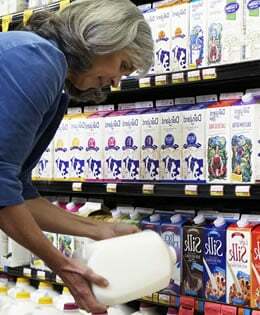 There are a lot of different types of milks in grocery stores now, such as almond, rice, and coconut milks. The first good choice is skim (also called fat-free or nonfat) cow’s milk. “With skim milk, you’re getting the key nutritional riches we expect in milk – calcium, vitamin D, vitamin B-12, and protein – but without the artery damaging saturated fat that’s found in 1%, 2%, and whole milks,” states Kimberly Gomer, MS, RD, Director of Nutrition at the Pritikin health resort. Another good choice is fortified soymilks (original or unsweetened). Like nonfat cow’s milk, you’re getting all the good stuff (calcium, vitamins D and B-12, and protein) and none of the bad stuff (saturated fat). “But don’t expect soymilk, in and of itself, to lower total and LDL (bad) cholesterol levels,” points out Dr. Jay Kenney, Nutrition Research Specialist at Pritikin. Yes, in years past, science suggested that soy protein could lower cholesterol levels. In fact, in 1999 the Food and Drug Administration ruled that 25 grams of soy protein a day could reduce cholesterol and therefore help reduce heart disease risk. “But in recent years, the evidence on soy’s benefits in terms of cholesterol lowering has weakened,” observes Dr. Kenney. Dairy? Soy? Rice? Almond? Coconut? Are you confused about which milk is best? Dairy milk substitutes like almond and rice milks usually score well for calcium, vitamin D, and vitamin B-12, but poorly for protein. “So if you drink a cup of almond or rice milk, add to your daily diet a lean, protein-rich food like 1/2 cup cooked legumes (beans) or 2 egg whites,” recommends registered dietitian Kimberly Gomer. Steer clear of coconut milk because it contains saturated fat. Is Soy Bad For You? Can I Eat Too Much? “It’s possible. As with much of life, moderation is a good idea,” says Ms. Gomer. Enjoy soybeans and soy-rich foods like tofu. Bottom Line: Is soy bad for you? Potentially, if it’s soy that comes in concentrated pill or powder form. Stick to whole food sources like soymilk, tofu, soybeans (edamame), and tempeh (an Asian food made from fermented soybeans). 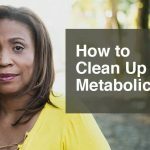 Keep in mind, too, that the health-promoting chemicals in soybeans that have gotten so much attention in recent years – the isoflavones – are plentiful in all beans: pinto beans, black beans, lentils, red beans, and so on. And these beans generally derive a mere 3 to 9% of their calories from fat. Soybeans, by contrast, are 37% fat – and therefore more likely to promote weight gain. But all beans, including soybeans, are full of nutritional riches – and are a very healthy, protein-packed alternative to meat or poultry. 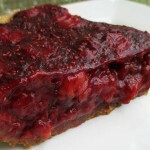 Instead of increasing our cholesterol levels, like animal meat, beans lower it. A novice to tofu? Try this super-simple recipe from Pritikin’s award-winning Executive Chef Anthony Stewart. “This is one of my favorites, I must admit,” he laughs. Chef Anthony adds these healthy little tofu squares to soups, marinara sauces, and whole grain dishes, like quinoa. They also make a great snack. Chef Anthony takes a block of firm tofu (firm tofu is the type that sits in a container of water in the refrigerated section of your grocery store), and picks it up and squeezes it with both hands to let some of the water out. Then, as if he’s cutting up a loaf of bread, he slices his tofu into about four ¾-inch-thick slices, and marinates his slices in balsamic vinegar, chopped garlic, and dried oregano for 4 to 5 minutes. He heats a large nonstick skillet over a high flame, and, using tongs, places his tofu slices in the skillet. When the side facing the skillet is darkened, he flips the tofu to the other side and darkens it, too, about 4 minutes per side. 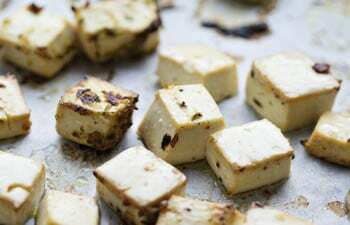 When the tofu slices are nicely browned on both sides, Chef removes them from the skillet, and slices each into bite-size squares. Chef also enjoys his mighty little tofu squares as a snack. 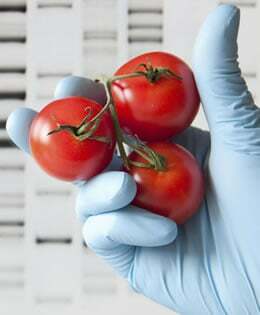 And he adds them to soups, marinara sauces, and whole grain dishes, like quinoa. “Tofu is definitely a product you should stock up on in your refrigerator,” encourages Chef Anthony.